The stench was only the start of it. 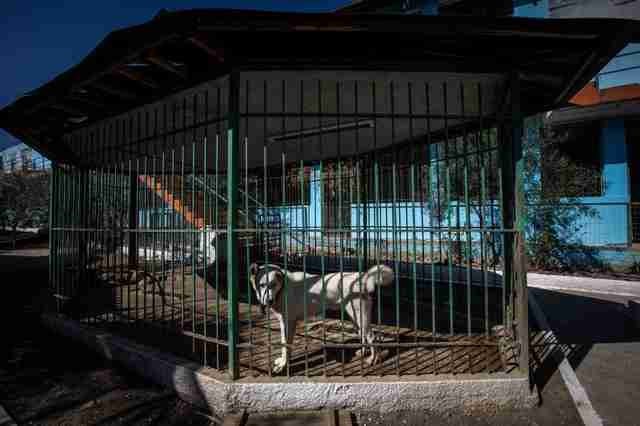 When Bauer and the team ventured further into the zoo, they found dozens of frightened animals living in derelict enclosures. 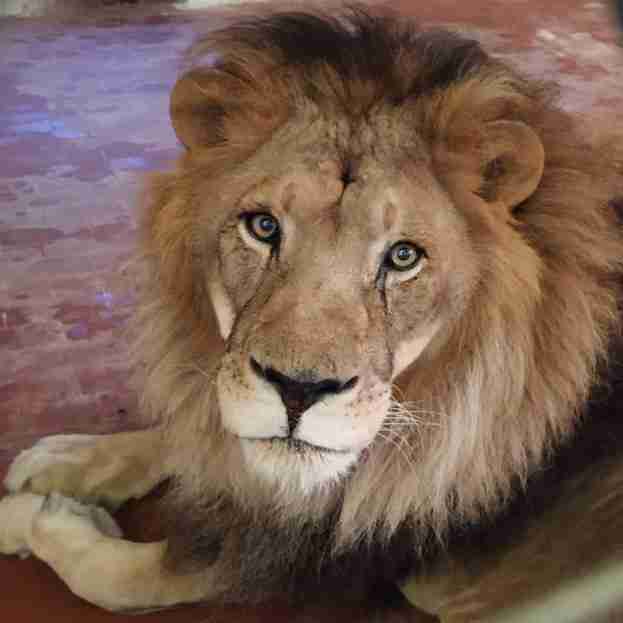 One of the most upsetting things for Bauer was coming across a lion with a bad eye infection. 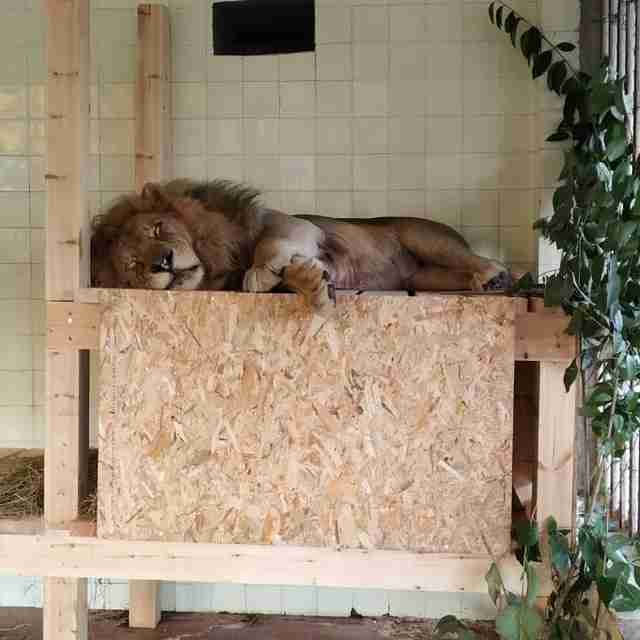 But last week, life changed for the better for the animals stuck at Safari Park Zoo. The zoo had run on a valid license for many years, Bauer explained. 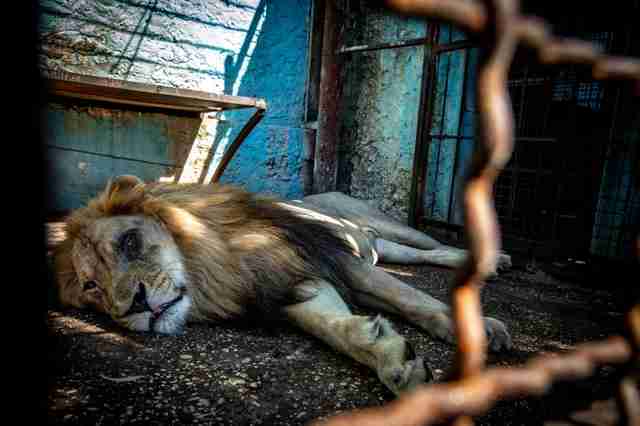 But this year, the zoo’s license expired, and the Albanian government refused to renew it, citing the small, inadequate enclosures as the reason for this refusal. 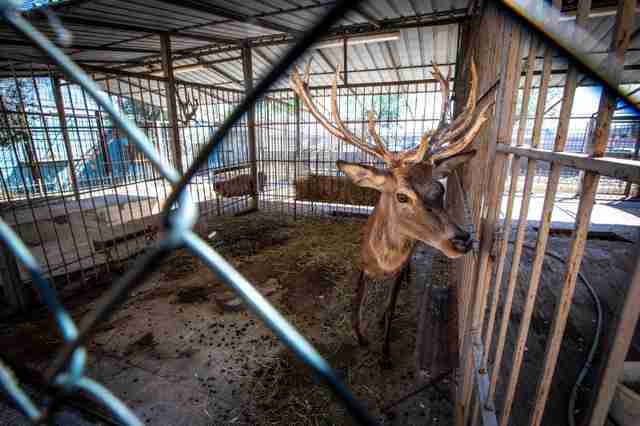 Working closely with the Albanian government, Four Paws gained the authority to rescue 12 of the resident animals at the zoo, including a bear, fox, turtle, zebra, waterbuck and red deer, as well as three fallow deer and three lions. Unfortunately, the rescue team wasn’t able to locate the turtle, who wasn’t in his enclosure as expected. 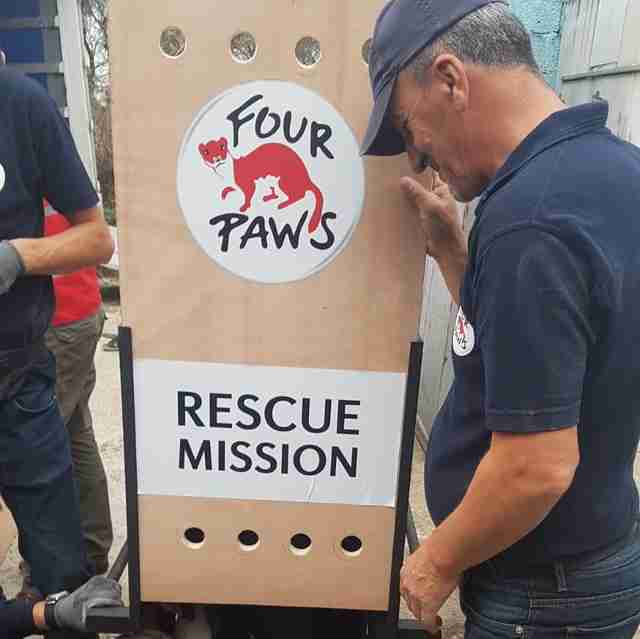 The team also didn’t have the authority to rescue several domestic animals, including dogs, chickens, goats and sheep, although Bauer said that Four Paws is still hoping to rescue them in the near future. 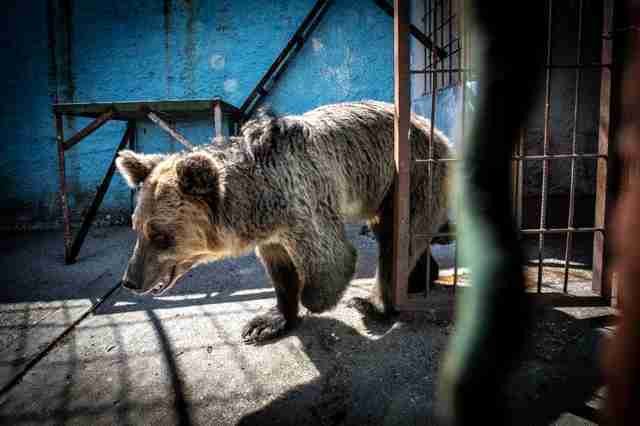 The rescue team, which included several veterinarians, worked diligently to get the 11 animals safely out of the zoo and move them to a temporary holding facility at Tirana Zoo in Tirana, Albania. 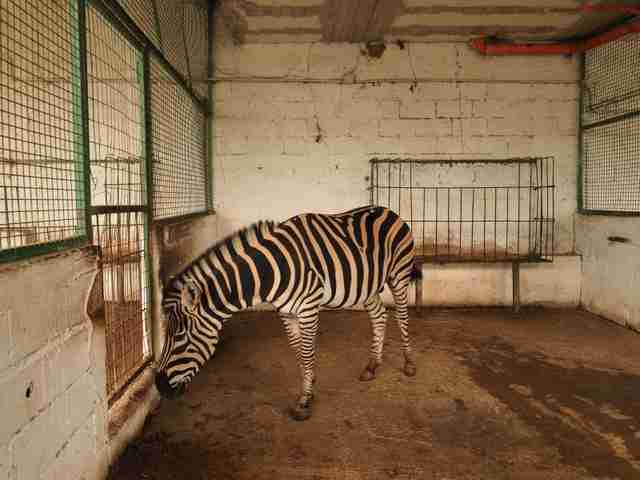 The zebra tragically didn’t make it, but the other animals are doing really well, Bauer said. 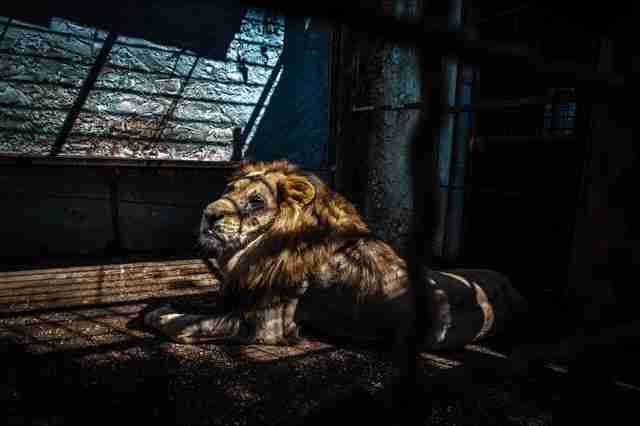 “It’s very rewarding when you see them go into enclosures, and you know this horror is finally over for them, and now the new journey begins for them,” Bauer said. 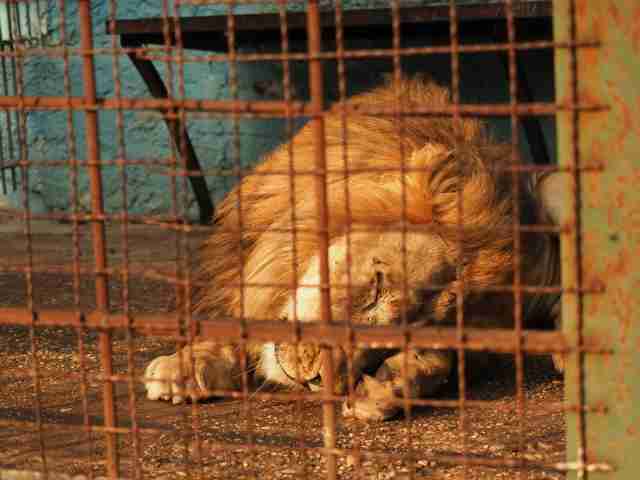 To help these rescued zoo animals make a full recovery, you can make a donation to Four Paws International.